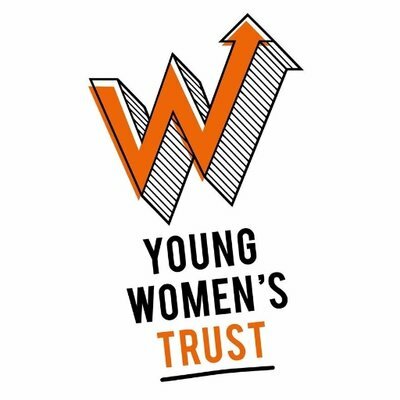 At a time of life traditionally characterised by youthful swagger and optimism, many young people in the UK continue to report worsening finances, low self-confidence, poor mental health and worries about the future – with young women worse affected. Despite being a generation too often written off for their lack of resilience, far from being concerned about where their next breakfast of avocado toast or fix of reality television will come from, our most recent annual survey of 4,000 18–30 year-olds – titled “It’s (still) a Rich Man’s World” – found that many young people are struggling financially and beset by mental health worries, with little hope of improvement any time soon. Low pay, zero-hours contracts and high housing costs which make living independently out of reach for many, are taking their toll. Four in ten young women and three in ten young men said it was a real struggle to make their cash last until the end of the month, with young people having to resort to measures including skipping meals to make ends meet. A third of young people told us that they don’t think they will ever be debt-free, and one in five had been forced to move back in with their parents because of money worries. These financial pressures unsurprisingly are leading to anxiety and worries for the future, especially amongst young women. Just 18% of young women and 32% of young men reported feeling confident, and more than half of young women (and four in ten young men) said they were worried for the future. One in four young people said they felt lonely, rising to nearly one in three for young women aged 18–24. Young women’s mental health concerns especially appear to be skyrocketing, with four in ten young women reporting they were worried about their mental health. There also appear to be clear links between mental health and work. Almost half of young people said that their work had impacted negatively on their mental health, and three in ten young women and one in four young men said that their mental health has affected their ability to seek work. Young people also said they felt ignored by those in power, with half reporting their confidence in politicians has got worse in the last year. Politicians of all parties need to be doing more to give young people hope for the future, through improved engagement and policies that deliver real change. Whilst life has often been tough for many young people, current levels of low confidence, mental health concerns and lack of hope for the future are truly worrying and a real departure from the past. That’s why politicians need to be focusing on introducing policies which will transform the well-being of young people – such as extending the National Living Wage to under-25s, making Universal Credit function fairly, and improving support for young women who have mental health concerns to get into and sustain work – and doing more to recognise the link between financial security and well-being. Just over a century after the first women got the vote in the UK, there also needs to be a much greater recognition that young women are still losing out, with career prospects, spending power and well-being trailing behind those of young men. We need to be impatient for change and demand it from our politicians, if we are both to deal with an immediate crisis faced by young people and to safeguard the future well-being of an entire generation.